Age. Infants and young children are more likely to get ear infections than older children. The size and shape of an infant�s eustachian tube makes it easier for an infection to develop. Ear infections occur most often in children between 6 months and 3 years of age. Also, the younger a child is at the time of the first ear infection, the greater the chance he will have repeated infections. Tobacco smoke. Children who breathe in someone else�s tobacco smoke have a higher risk of developing health problems, including ear infections. Your child may have many symptoms during an ear infection. Talk with your pediatrician about the best way to treat your child�s symptoms. Fever. Your child may have a temperature ranging from 100�F (normal) to 104�F. Ear drainage. You might notice yellow or white fluid, possibly blood-tinged, draining from your child�s ear. The fluid may have a foul odor and will look different from normal earwax (which is orange-yellow or reddish-brown). Pain and pressure often decrease after this drainage begins, but this doesn�t always mean that the infection is going away. If this happens it�s not an emergency, but your child will need to see your pediatrician. Important: Your doctor cannot diagnose an ear infection over the phone; your child�s eardrum must be examined by your doctor to confirm fluid buildup and signs of inflammation. Because pain is often the first and most uncomfortable symptom of an ear infection, it�s important to help comfort your child by giving her pain medicine. Acetaminophen and ibuprofen are over-the-counter (OTC) pain medicines that may help decrease much of the pain. Be sure to use the right dosage for your child�s age and size. Don�t give aspirin to your child. It has been associated with Reye syndrome, a disease that affects the liver and brain. There are also ear drops that may relieve ear pain for a short time. Ask your pediatrician whether these drops should be used. There is no need to use OTC cold medicines (decongestants and antihistamines), because they don�t help clear up ear infections. Not all ear infections require antibiotics. Some children who don�t have a high fever and aren�t severely ill may be observed without antibiotics. In most cases, pain and fever will improve in the first 1 to 2 days. If your child is younger than 2 years, has drainage from the ear, has a fever higher than 102.5�F, seems to be in a lot of pain, is unable to sleep, isn�t eating, or is acting ill, it�s important to call your pediatrician. If your child is older than 2 years and your child�s symptoms are mild, you may wait a couple of days to see if she improves. Your child�s ear pain and fever should improve or go away within 3 days of their onset. If your child�s condition doesn�t improve within 3 days, or worsens at any time, call your pediatrician. Your pediatrician may wish to see your child and may prescribe an antibiotic to take by mouth, if one wasn�t given initially. If an antibiotic was already started, your child may need a different antibiotic. Be sure to follow your pediatrician�s instructions closely. As the infection starts to clear up, your child might feel a �popping� in the ears. This is a normal sign of healing. 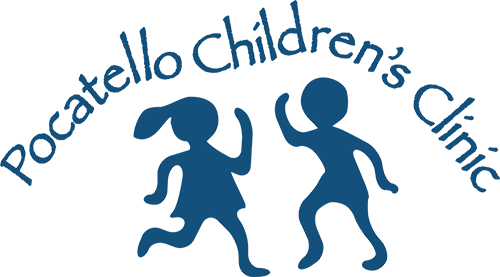 Children with ear infections don�t need to stay home if they are feeling well, as long as a child care provider or someone at school can give them their medicine properly, if needed. If your child needs to travel in an airplane, or wants to swim, contact your pediatrician for specific instructions. It�s normal for children to have several ear infections when they are young�even as many as 2 separate infections within a few months. Most ear infections that develop in children are minor. Recurring ear infections may be a nuisance, but they usually clear up without any lasting problems. With proper care and treatment, ear infections can usually be managed successfully. But, if your child has one ear infection after another for several months, you may want to talk about other treatment options with your pediatrician.